Here we are with Part 5 – the final part – of 7 days to 10K. A hastily drawn up plan for successfully completing the local 10K race, my first. Not, as one of the people that reads my blog mistakenly thought, a 7-day plan to 10-grand. Sorry. That would be great though, wouldn’t it? The weather was glorious, sunny and 7 degrees, that’s the mid-40’s for you Fahrenheit folk. The high winds of the previous day had blown themselves out, to leave a gentle breeze. At the start I found myself with a couple of neighbours who were hoping to dip under the hour-mark. We positioned ourselves in front of the 60 minute pacer, and within sight of the 55-minute pacer. Within the first kilometre or 2, it was clear to me that I was running noticeably faster than I had 2 days previously. I was relatively comfortable, but it was also clear to me that the 55-minute pacer was a bridge – or runner – too far. We were all very boxed in for the first few k’s too, since there were a lot of people in the race and the roads were country roads. As we turned at about 4 K we went onto a real country track for 2K, before the turn back into town at 6K. It was a gradual incline, and I prefer to take those a bit quicker to get them over with, if I have sufficient gas in the tank. I felt good, and conscious too that I was pushing myself quite hard. I stuck in there, up through another gradual incline from 7 to 8K, until we passed the local soccer club and then I knew I was going to make it, since I’ve jogged back from there many times. The 9K mark passed the estate where we live, and with the kids to give me a yell of support it was downhill for the last K, a very welcome run home. 50 metres from the end Her Ladyship, who had finished a good way ahead of me, was there to yell to me to sprint for the finish. The legs felt great, the best they’ve felt in years, and I passed over the finish line, at speed, in a time of 57:09. We then headed up to the hall for teas and buns, to join the huge throng of post-race euphoria. Job done. As I was enjoying my first beer of the evening with friends, I had an automated text from the race organisers to say that my actual time, since I passed the start mark a little while after the starting gun as the crowds passed through, was 56:17. In Part 3 of 7 days to 10K, I outlined my plan to run a practise 10K on the roads and take 2 full days off before the big day, day 7. So you’re probably wondering how I got on? Whether things went according to my somewhat flimsy plan? Did I do the run? Did I finish it? Did the legs give way? Well, yes and no, as is always the way with planning. I didn’t run the 10K on day 4, for 2 reasons. Firstly, the weather was utterly foul. Cold, wet and hellishly windy. Storm-force windy. Second, my daughter got sick for a few hours, and I didn’t want to leave her. By the time she was better, it was dark, I’d lost my mojo and the storm hadn’t abated. I did have a plan B though. My plan B was simply to run on day 5 and suffer 1 less day of recovery. So that’s what I did. My good lady helped me design a route that was never too far from the house that if I pulled up I couldn’t walk home in a reasonable time. I set off slowly, in milder weather, and felt great for the first 15 minutes, and 25 minutes, and 35 minutes. 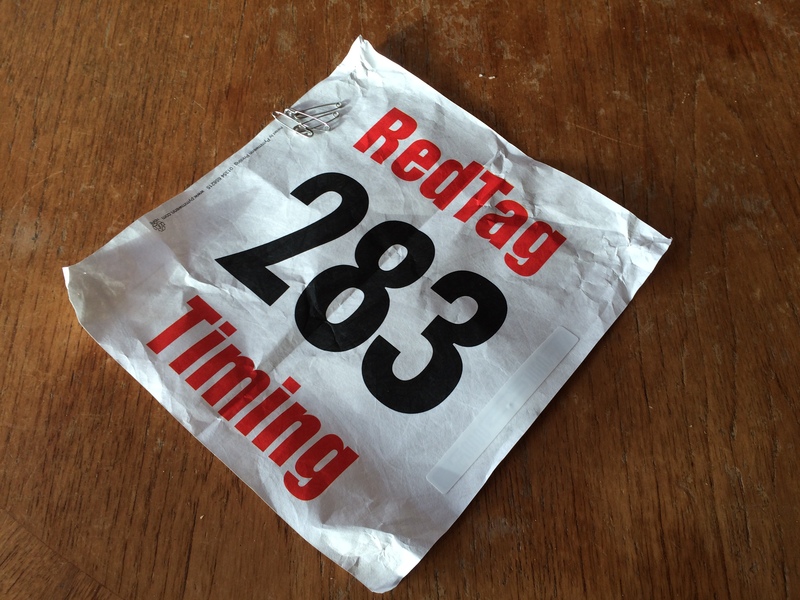 The only arduous part was about the 35 – 50 minute mark, a long uphill stretch of 1.5K into a strong wind. I tend to run faster uphill, to get the pain over with, and catch my breath on the down phase, so it was hard – but manageable – work. I made it! The calves were fine, they held up great, and I never doubted the fitness. I completed the 10K in a leisurely 65 minutes, with no after effects. And felt great afterwards. Plenty left in the tank, it was always a question of avoiding injury rather than running out of puff, literally. I stretched, iced and spent the rest of the day eating, drinking and making merry. Yesterday, I did some final stretches for the legs and back, which was a little tight after such a long time on the move. So, today’s the day. It’s race day, day 7. The race is around some of the roads I have only just run on. I’m hoping to duck in under the hour mark. I’ve done the prep. I’m cautiously optimistic. Plan for the worst, hope for the best. I’ll let you know how I get on in the final part, part 5 of 7 days to 10K. In Part 2 of 7 Days to 10K I shared my trepidation about phase 2 of the plan, which was to run 8K on the treadmill, the first serious test of my body’s resilience and recovery from injury. Well, I got through it, just about. I did indeed run 8K, in the grand old time of 52:17. It’s the longest I’ve run in years. It was hard. I had a stitch, sometimes 2 stitches, for most of the way. I haven’t had a stitch for probably 25 years! I rowed for 5 minutes to warm up, then did some leg stretches to get in the mood. I’d been worried about this run all day and wasn’t sure if the legs would hold up. I walked for the first 2 minutes to warm up, then ran at 10 km/hour up until the 20 minute mark. After 20 minutes my right calf, the one which I most recently injured, was fine, but the left one was aching, so I went back to walking for 2 minutes. I thought that I might have neglected it since most of my recent rehab work was on the right side, and I didn’t want it to pain suddenly, hence the middle walking phase. Finally, I finished the 8K. The aching had not got any worse. I walked for 2 minutes to warm down, stretched the legs out, went home and even iced the calf, such was my dedication. In Part 1 of 7 Days to 10K I outlined why I’ve prepared awfully for a 10K race I have registered for and which is but a few days away. 2 days ago I executed – successfully – the first phase of my simple plan to be as ready as I can be for the race. I played a fairly taxing game of 5-a-side soccer for over an hour. I played rather well, for me, and emerged unscathed. This was great for me, as it was my first proper lung-stretching exercise in a while. Later today I will execute the second phase, which is to run 8K on the treadmill, and see how I get on. This is the phase I’m most nervous about, since it’s my first sustained run over 15-20 minutes since I last tore my calf. When I mentioned the race to a soccer pal, he said ‘oh, I registered for that a couple of years ago and just turned up and ran the race, it’s not too bad.’ A perfectly legitimate response, were it not for the fact that I have been doing some exercises to cure a biomechanical fault which is causing my calves to tear and pain after a quarter of an hour’s exercise. One of the odd things I’ve noticed in the mirrors over the last 30 years of running at the gym is that any shirt I’m wearing pulls down at the next towards the right shoulder, and never the left. I could never figure out why, until the physio mentioned the fault with my running in my previous post that cause my right side to dip, and then it all made sense. In 2 days time, as per my plan, I’ll let you know how the 8K run went and what bearing, if any, this has on my ‘practice’ 10K run on the streets of my home town, scheduled for later in the day. I’ve signed up for a 10K run. It’s in 7 days’ time. It’s my first 10K. I have run further before, but it was when I was training for the Dublin marathon, in 2000. I got injured 3 weeks before, having done all the training, and had to miss it. My wife does 10K 3 times a week and will be doing this one too. It’s a regular event for her; she breezes through them. SHe’s a good bit younger than me and rebounded back from a serious ankle injury earlier in the year by doing her rehab religiously. More on that aspect later. I don’t usually run more than 5K. It’s simply something to get the heart pumping for 25+ minutes so it qualifies for aerobic exercise. I also haven’t run in about 3 months. Why the appalling preparation, I hear you say? Well, I get injured a lot. Not major injuries, just niggly little calf injuries that put me out for a few weeks at a time. I went to a new – new to me – sports physio about 2 months ago, complaining about the fact that when one of my calves breaks down, it’s about 15 minutes into a run, when I’m nicely warm. He had me run on the treadmill for a couple minutes and diagnosed a bio-mechanical fault which was causing my right leg to move out slightly, rather than forward, during the lifting-striding phase. This was causing my right side to dip slightly, which, he felt, was creating the imbalance that cause either calf to break down and start paining me. He gave me a raft of exercises to do 5 times a week, that would have taken me an hour or more to do, if had ever done them all. I didn’t do them at all for the first 2 weeks, as I was travelling. Since those 2 weeks I’ve done a fraction of the exercises he gave me, maybe twice a week. I haven’t been able to make the time. You know the drill, or if you don’t you can read here. So, here I am, with 7 days to go til my 10K. Here’s my plan. I realise that 10K isn’t very far and many of you reading this will wonder what all the fuss – and all the planning – is about. After all, it’s less than half an hour’s exercise for proper athletes, and less than an hour for many average runners. It’s hardly the Ironman. Well, for me, it is what it is. This evening, day 1, I’m going to play a game of 5-a-side soccer with the lads. It’s my favourite exercise. I like to start in goal and then I’ll be running around for 45 minutes or so. It’s a useful test of fitness and of how my calves are feeling. In two days time, I’m going to go to the gym, on the advice of my good lady, and try to run about 8K on the treadmill. Apparently it’s more forgiving than the road. If that goes OK, then in 4 days time I’m going to run a 10K on the road. If that goes OK, I’m going to take the next 2 days off before the big day, 1 week from now, in 7 days’ time. There’s a lot of if’s in the plan, and no plan every goes perfectly, so doubtless you’ll be reading about adjustments, avoidance or even abandonment. I’ll let you know how I get on. I have to. After all, you can’t have Part 1 of a total of 1 Part, can you?